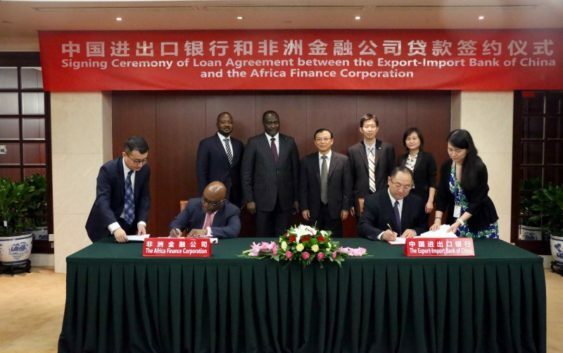 Leading infrastructure development finance institution in Africa, Africa Finance Corporation (AFC) successfully acquired a US$300 million loan from Export-Import Bank of China (CEXIM). Making up the loan is a US$200 million 5-year loan and also a US$100 million 5-year stand-by facility. The loan facility is for general corporate purposes. The CEXIM loan facility is AFC’s first financing facility from the Chinese government. The Africa Finance Corporation is currently focusing on building a broad syndicate of investors. To achieve this feat, it is diversifying its fundraising activities to include all sources of institutional capital in East Asia. Which will also be an addition to its existing partners in Europe & North America. In addition to the medium-term liquidity provided by the CEXIM loan facility, it will also provide contingent funding support. The contingent funding support will help manage security risk and also open up other financing and relationships with Chinese entities. In the last two decades, China has grown from a relatively small investor, to becoming one of Africa’s largest trading partners today. The facility agreement signing will mark the first step into what will be a long and beneficial relationship with CEXIM. It will also include AFC’s support to CEXIM’s Africa strategy. Which will involve looking at their portfolio of assets and advising them on how to optimise its loan book on the continent. According to Samaila Zubairu, President and CEO at AFC; the loan is a necessary development required to accelerate Africa’s journey towards closing the infrastructure deficit.